I am offering high quality 3D modeling of custom jewelry and souvenir production, ready for prototyping on CNC Mill and 3D printing. I have wide experience in working with 3d printing services like Shapeways and i.Materialize. 10 years of experience allows me to realize your ideas, no matter how complex or simply elegant they are. We begin with a conversation by email, skype or phone. 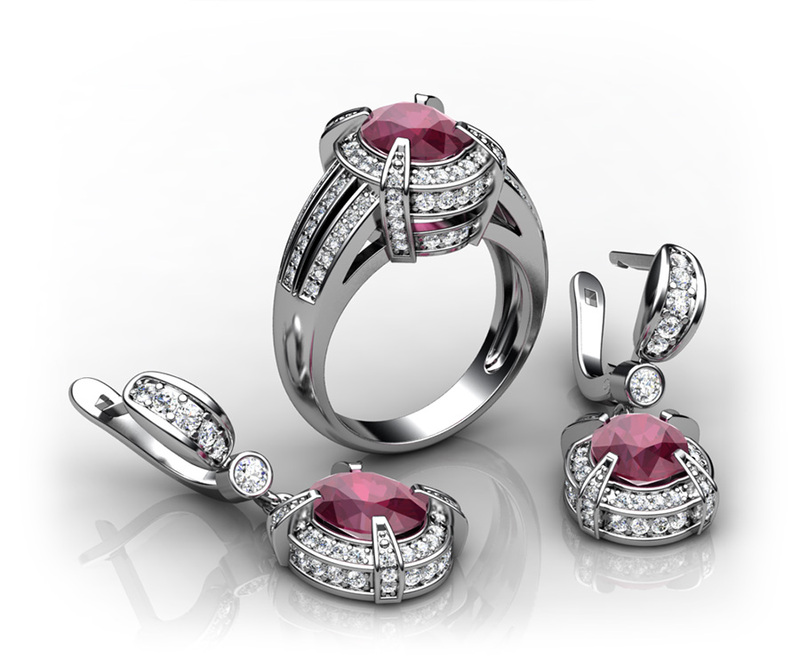 You submit picture or drawing of your design idea and basic parameters (for example: ring size, number of gems, etc). After approval of terms and cost we will move forward in creating high quality 3d model of your piece using CAD software. After final approval, you will get 3d model ready for prototyping, several photo-realistic renderings and the report (weight of the product, gems topology, number of polygons, number of parts and assembling schem).